Pavel Pogrebnyak has been suspended for the rest of the season by the Russia FA. Former Fulham and Reading forward Pavel Pogrebnyak has been fined for remarks he made about black players on the Russia national team. Pogrebnyak told Russian newspaper Komsomolskaya Pravda this month he didn't believe Brazil-born Ari should play for Russia, adding: "It's funny when a dark-skinned player plays for the Russia team." Pogrebnyak later said he didn't mean to offend black players but believed foreign-born players shouldn't represent Russia. The Russian Football Union ethics committee fined Pogrebnyak 250,000 rubles ($3,800) and said the former international could be suspended until the end of the season for another offence. "The funds from the fine will go toward special projects to fight discrimination," the RFU said in a statement. Ari has lived in Russia for nine years and made his debut for Russia in November. In the Russia squad, goalkeeper Guilherme and right back Mario Fernandes were also born in Brazil, while midfielder Ilzat Akhmedov was born in Kyrgyzstan, and Russia has previously naturalised players with German passports. 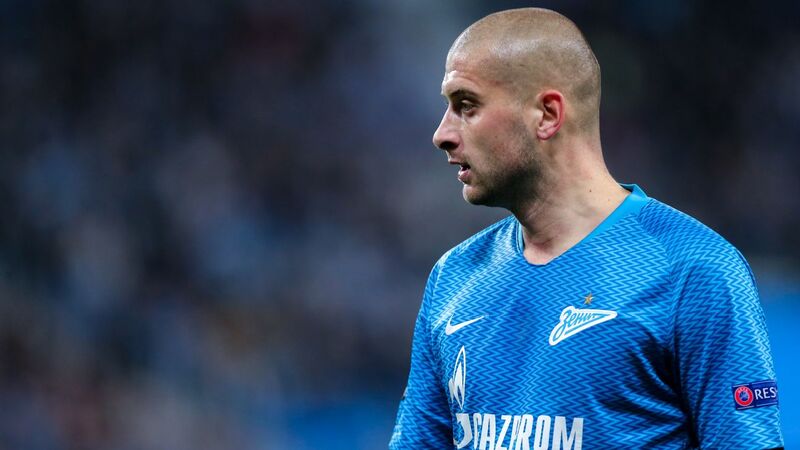 Guilherme has also been targeted by some fans of Spartak Moscow who chanted in December he was "a monkey" during a club game. Pogrebnyak represented Russia from 2006-12 and plays for Ural Yekaterinburg in the Russian Premier League.